Context: Drogo is near death after last week’s fight. One of his bloodriders does not take kindly to Dany’s use of blood-magic and threatens the Khaleesi and her unborn child. 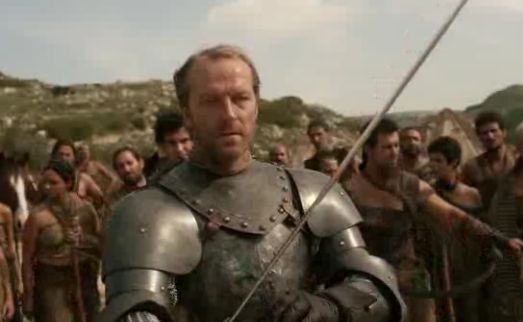 Jorah decides its time to put on his armor. Context: After an accusation of treason and the slaughter of all his men, Ned finds himself deep in the dungeons of the Red Keep. 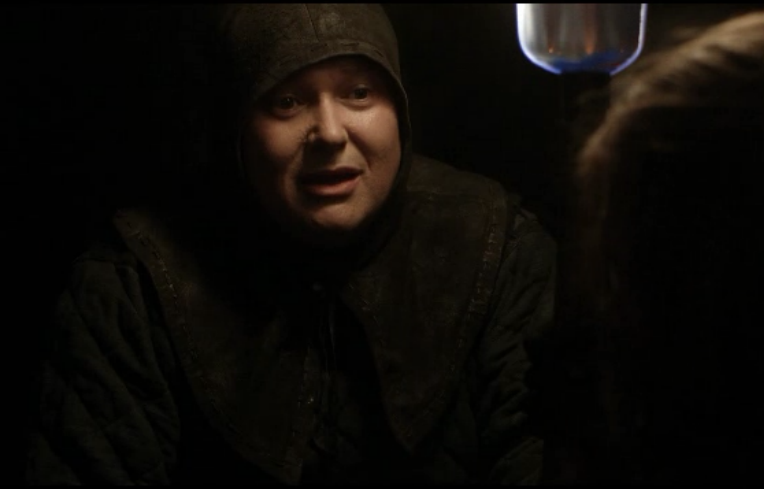 Varys, the Spider, pays him an unexpected visit. 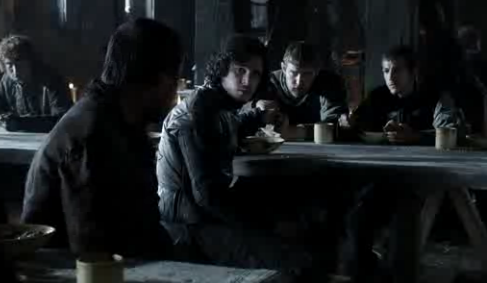 Varys: I trust you know you’re a dead man, Lord Eddard. Viserys: I am the last hope of a dynasty. The greatest dynasty this world has ever seen, on my shoulders since I was five years old, and no one has ever given me what they gave to her in that tent. Never. Not a piece of it. 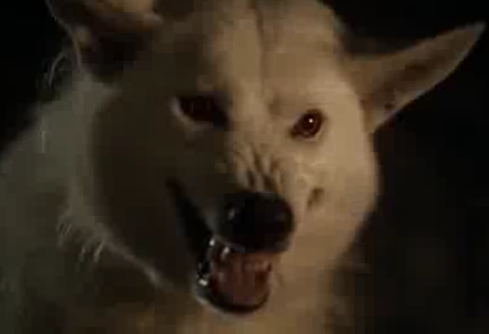 Reasoning: We could have chosen the flashy weirdness of Dany’s horse heart eating scene (that’s a sentence I never thought I’d use) but the simple interaction between Viserys and Jorah says so much more than a blood covered Khaleesi ever could. George RR Martin’s books are special because of the complexity of even the most minor characters, but if any were to be described as one-note it would be Viserys. This scene gives him a soul. We see inside his madness to the jealous, sad, and weighted man underneath. He becomes human. 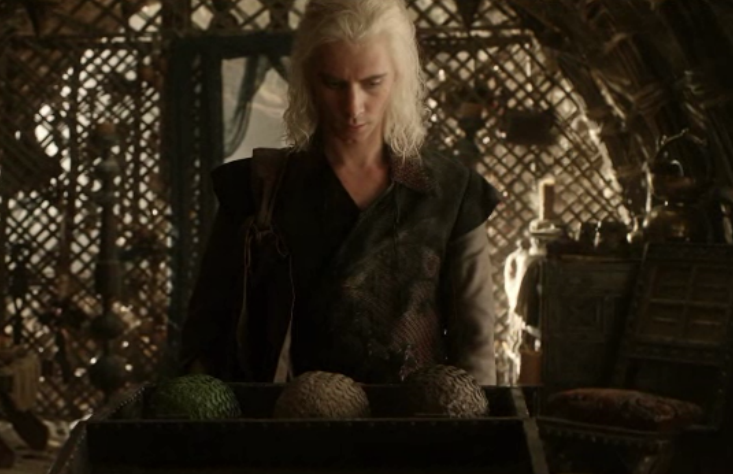 If we’d been given more time, who knows, maybe we’d come to like Viserys…okay, maybe not. Dany: I don’t want to be his queen. I want to go home. Viserys: So do I. I want us both to go home, but, they took it from us. So tell me sweet sister, how do we go home? Viserys: We go home with an army. Reasoning: In Game of Thrones, whores and exposition go together like sword and sorcery. We meet Tyrion while he is being pleasured by the red-headed whore, Ros (Esme Bianco). He may be a dwarf (not the magical bearded kind) but he’s as lusty as any man and not afraid to experiment. Jaime interrupts his fun and the two have a little chat before Jaime ‘serves all the courses at once.’ This scene proves Game of Thrones isn’t children’s fantasy. Reasoning: Lancel Lannister (Eugene Simon) has only been in a couple of scenes so far, but he’s quickly becoming one of our favourite punching bags. Robert’s awkward squire can’t do anything right. He spends most of his time sputtering for words and staring in wide-eyed fear. We love him. Let’s hope he doesn’t spend too much time searching for that breastplate stretcher and gets back to our screens ASAP. Reasoning: Jon Snow (and recently Samwell Tarly) may be front and center at the Wall, but they’re not the only Black Brothers worth watching. The trio of Pyp (Josef Altin), Grenn (Mark Stanley), and Rast (Luke McEwan) round out our ragtag group of misfits. Whether sword fighting (poorly), ganging up on Jon (fairly well), or chasing each other around the yard (not unlike Benny Hill), these three are never dull. We want to know more about them. They all need their time to shine. 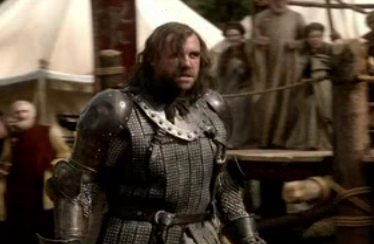 Reasoning: The Hound (Rory McCann) is a man of few words. He’s big and gruff and willing to run down a child on the whim of Joffrey Baratheon. We’ve heard his story, but not from his own mouth. We saw him take on his brother, the Mountain; now it’s time to see what makes him tick. We need him to pull back his hair so we can see just how gruesome those scars really are. Reasoning: Every television show needs a 7 foot tall stable-hand who only says his own name (he’s like a really big pokemon). Hodor (Kristian Nairn) has said 2 words (hodor, hodor), been in 2 scenes, and we can’t wait for more. 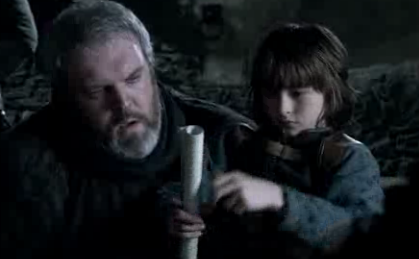 As fans of the books, we want to see how they build Hodor’s relationship to Bran. The gentle giant needs more screen time. Hodor! Keep Up With NERD VORTEX via Email!